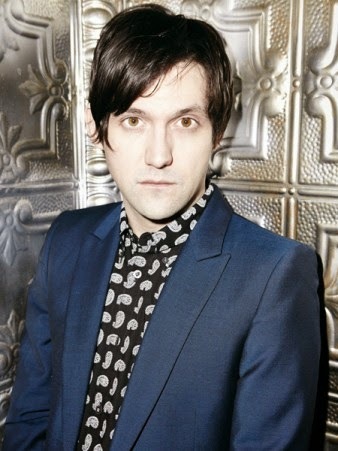 Conor Oberst is back with a new solo album, Upside Down Mountain, which finds the prolific songwriter delving into adult responsibilities as found in the new song, "You Are Your Mother's Child." It's a sentimental slideshow of a boy's life as told in lyrical milestones by the father, intimately pared down to acoustic guitar and Oberst's signature sincere voice, at once world-weary and yet still youthful. Preview the song in the video below, along with a live performance of "A Hundred Ways," which has already been picked for my next new music playlist. The collection is the first since 2011's The People's Key, an album with his band Bright Eyes. (The closing song from that album, "One for You, One for Me," was chosen for my 2012 Romantic Songs Playlist in honor of Valentine's Day that year and is definitely one of the most heartfelt songs ever.) This time around Oberst worked with Swedish folk-rock vocal duo First Aid Kit, along with multi-instrumentalist Blake Mills and bassist Macey Taylor. For touring, the band Dawes has been enlisted as a suitable back up, and in some cases serving as opener as well. They will be appearing in NYC at the Central Park SummerStage on July 29.